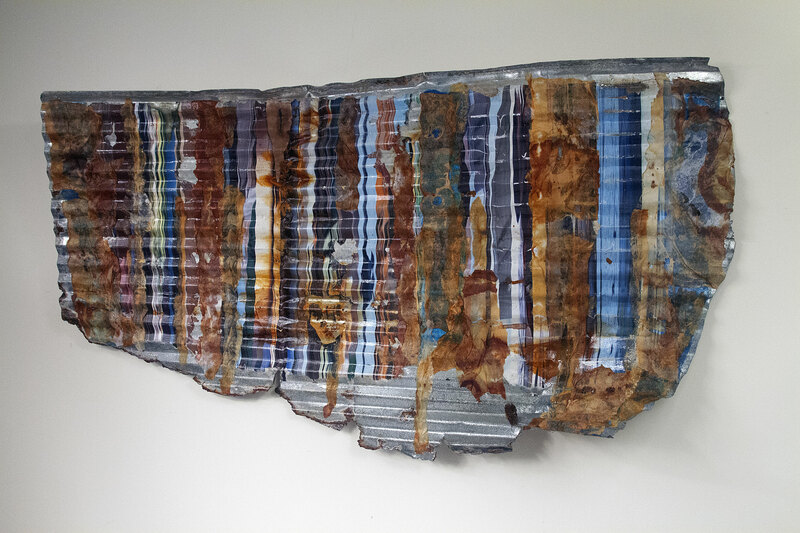 In this mixed media piece, I explore new methods and materials in order to interpret and expand upon the underlying photograph and its relationship to the found metal object. In my approach to its creation, there is somewhat of an uroboric aspect to this work. It was completed in 2018.